Ok people, reduced again and time to SELL! Don't miss this opportunity! Location, Location, Location! This spacious, open home is WALKING DISTANCE TO THE VILLAGE! And BORDERS FOREST SERVICE LAND in the classic Mammoth Knolls neighborhood. What a great opportunity to make this your dream home in the mountains. 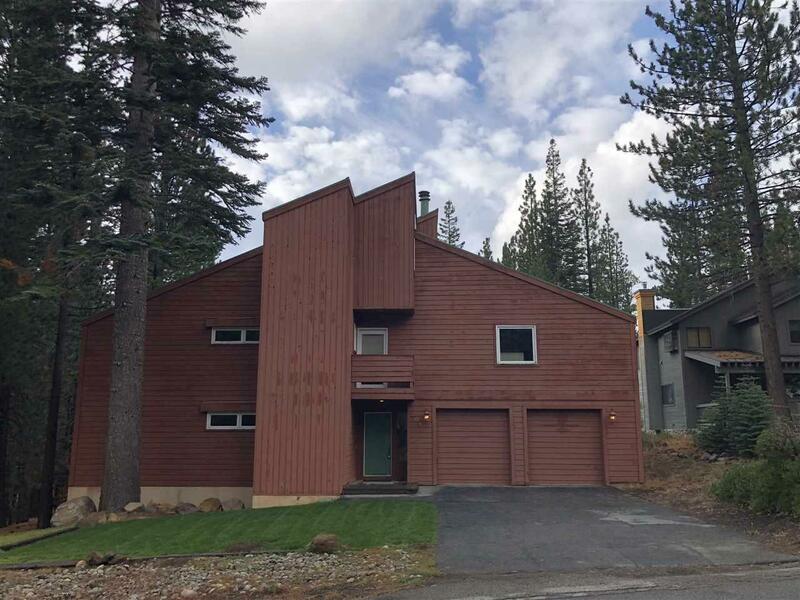 First level has a 2 car garage, foyer, laundry room, 2 bedrooms, 1.5 baths, and a bright solarium which views the deck and forest service land. Upstairs has a large family room, kitchen, dining room, and large master bedroom and bathroom. There is a deck off the kitchen, living room, dining room and solarium. The third level offers a 30'x30' loft with the potential to extend over the kitchen if desired. Great home for multiple family ownership, zoned for monthly rentals (think VRBO for seasonal rental); so many possibilities for this home in this location! Just a short walk to the Village to access the Gondola to Canyon Lodge and the shuttle buses to Main Lodge for skiing and snowboarding the famous Mammoth Mountain Ski Area! Ride your mountain bike from your house to the bike trails on Mammoth Mountain. Hike, walk your dogs or cross country ski on the hiking trails right outside your door. You can also access snowmobile trails, or enjoy a classic road bike ride on the scenic bypass road. The Mammoth Knolls neighborhood is very quiet and has many trees with no street lights (so you can see the stars at night), has a "neighborhood watch" program and a board of directors to help preserve the quality of life for homeowners. Stroll to the Village for dinner, enjoy summer concerts or winter festivities. Life in the Knolls, especially at 201 Mammoth Knolls, is where its at! Move right in or update to your hearts desire! Just don't miss out on this highly desirable property! Listing provided courtesy of Terrilyn Wilson of Mammoth Village Properties.